Band and choir students in GAPS were nominated and selected for state honor ensembles, where they will have the chance to perform under the direction of nationally known conductors and directors. The students were selected at the high school level through an audition process. At the middle school level, the students were nominated by their teachers. The performances will be held from Jan. 12-14 in Eugene. Find more information. 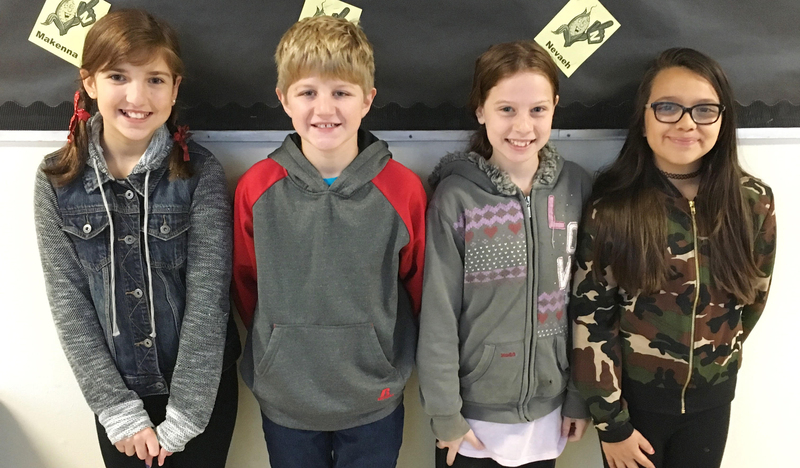 Lafayette Elementary School Honor Choir (pictured): Eliana Sanchez, Kiersten Bell, Mia Rowe, and Lo’Khi Smith, fifth grade. Nominated by music teacher Carrie French. Calapooia Middle School: Payton Adams, Abigail DeYoung, and Megan Montes, eighth grade. Nominated by choir director Margo DeYoung. Ava Cordle, eight grade. Nominated by band director Isaac Andrew. 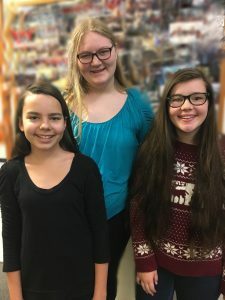 Memorial Middle School: Bella Hoffert-Hay, Faith Priddy and Mimi Mills, eighth grade. Nominated by choir director Julie Buchert. North Albany Middle School Honor Band: Elena Stein and Isabel Vetter, eighth grade. Nominated by band director Andy Nelson. Avrey Hiddleson and Lilly Hanamoto, eighth grade. Nominated by choir director LeAnn Wind, NAMS.